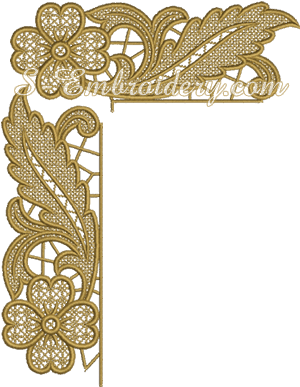 A set of 2 floral free standing lace edging machine embroidery designs. One of them is used to regulate the length of the lace, and the other is a corner. 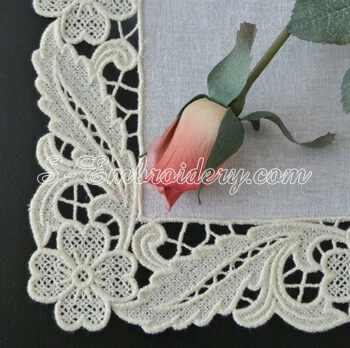 The edging from this set can be used to create a table runner, a place mat, table top, table cloth or in other machine embroidery projects. 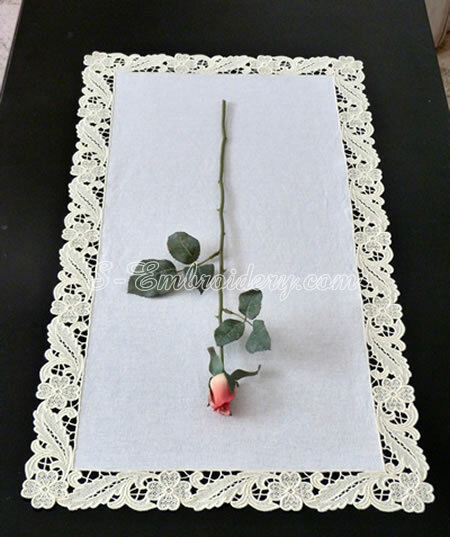 You receive 2 machine embroidery files in one of the supported formats and 2 PDFs with design information and instructions for creating the free standing lace table runner, we have featured on our web site.